This post will not attempt to close these debates. Rather, it seeks to place them on a new footing. Foucault and Heidegger’s work, I argue, reflects a common vision of philosophy as a transformative exercise. To understand Foucault’s debt to Heidegger, we need to read these philosophers on the level of transformative practice. Prior to 1984, Foucault typically denied that his work was philosophical at all. The following passage from 1978 is indicative of his attitude in this regard. I don’t regard myself as a philosopher. What I do is neither a way of doing philosophy nor a way of discouraging others from doing philosophy. The most important authors who – I won’t say shaped my thinking but enabled me to deviate from my university training – were people like Georges Bataille, Friedrich Nietzsche, Maurice Blanchot, and Pierre Klossowski, who were not philosophers in the institutional sense of the term. … What struck me and fascinated me about those authors, and what gave them their capital importance for me, was that their problem was not the construction of a system but the construction of a personal experience. Foucault is particularly concerned to distinguish his style of work from phenomenology. To achieve this, he differentiates the forms of experience that he associates with these pursuits. Phenomenology, Foucault claims, is ‘basically a way of bringing a reflective gaze to bear on some object of “lived experience,” on the everyday in its transitory form, in order to grasp its meanings’. Phenomenology ‘attempts to recapture the meaning of everyday experience in order to rediscover the sense in which the subject that I am is indeed responsible, in its transcendental functions, for founding that experience together with its meanings’. By contrast, in the tradition that Foucault associates with Nietzsche, Bataille, Blanchot and Klossowski, having an ‘experience’ means ‘[reaching] a certain point in life that is as close as possible to the “unlivable,” to that which can’t be lived through’. This dissociative experience ‘has the function of wrenching the subject from itself, of seeing to it that the subject is no longer itself, or that it is brought to its annihilation, or its dissolution. This is a project of desubjectivation’. Heidegger’s name is notably absent from this discussion. Had he been mentioned, it is possible that Heidegger may have appeared on both sides of the debate. Early Heidegger – the philosopher of Being and Time – can be situated within the phenomenological tradition that Foucault claims he has sought to avoid. Later Heidegger – the philosopher of Ereignis, the critic of modern technology and the advocate of a turn (Kehre) in thinking – is at least intuitively aligned with the style of desubjectifying post-philosophy that Foucault claims he has sought to engage. 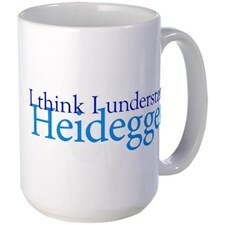 For me Heidegger has always been the essential philosopher. I began by reading Hegel, then Marx, and I set out to read Heidegger in 1951 or 1952; then in 1952 or 1953 – I don’t remember any more – I read Nietzsche. I still have here the notes I took when I was reading Heidegger – I’ve got tons of them! And they are much more important than the ones I took on Hegel or Marx. My entire philosophical development was determined by my reading of Heidegger. I nevertheless recognize that Nietzsche outweighed him. I do not know Heidegger well enough: I hardly know Being and Time nor what has been published recently. My knowledge of Nietzsche is certainly better than my knowledge of Heidegger. Nevertheless, these are the two fundamental experiences I have had. It is possible that if I had not read Heidegger, I would not have read Nietzsche. I had tried to read Nietzsche in the fifties, but Nietzsche alone did not appeal to me – whereas Nietzsche and Heidegger: that was a philosophical shock! But I have never written anything on Heidegger, and I wrote only a very small article on Nietzsche; these are nevertheless the two authors I have read the most. I think it is important to have a small number of authors with whom one thinks, with whom one works, but about whom one does not write. Perhaps I’ll write about them one day, but at such a time they will no longer be instruments of thought for me. Given that this passage is the only point in his career at which Foucault comments on his relationship to Heidegger in any detail, it is not surprising that it has become central for those interested in the Foucault-Heidegger relationship, and is the origin of various stimulating interpretations. What is surprising is how little emphasis tends to be placed on Foucault’s association of Heidegger and philosophy in this passage. Heidegger, Foucault claims, was the ‘essential philosopher’ for his work. Reading Heidegger and Nietzsche together in the early 1950s provoked a ‘philosophical shock’ that determined Foucault’s ‘entire philosophical development’. Foucault’s previous refusal to associate his work with philosophy is not the only thing that makes these comments significant. What makes them significant is the fact that the interview in which they appeared was conducted to coincide with the publication of the second and third volumes of The History of Sexuality, in the former of which Foucault, for the first time in his career, decisively articulates his work in terms of a philosophical exercise. Foucault claims that the objective of his research is ‘to learn to what extent the effort to think one’s own history can free thought from what it silently thinks, and so enable it to think differently’. ‘What is philosophy today’, Foucault asks rhetorically, ‘if it is not the critical work that thought brings to bear on itself? In what does it consist, if not in the endeavor to know how and to what extent it might be possible to think differently, instead of legitimating what is already known?’ (Foucault, The Use of Pleasure, p. 9). The tragedy of Foucault’s untimely death is rendered the more acute when we realize that at the time of his demise, Foucault was beginning to articulate the important and long-obscured relationship between his critical practice and the philosophical tradition. That Heidegger should appear at this point cast as Foucault’s essential philosopher, the determinative thinker for his philosophical development, is remarkable. It is easy (though not necessarily convincing) to suggest that Foucault’s comments on Heidegger were delivered casually or intended ironically and thus should not be taken seriously. However, if we give Foucault the benefit of the doubt and take the comments at face value, we find ourselves drawn into a vortex of questions with decisive implications for our interpretation of Foucault’s work. What was the shock that Foucault experienced reading Heidegger and Nietzsche together? How did Foucault’s reading of Heidegger feed into his philosophical development? What is the connection between Foucault’s Heidegger and his mature conception of philosophy as a practice of thinking differently? Most vexingly, perhaps: why did Foucault, for most of his life, say absolutely nothing about this? Further comments Foucault makes about philosophy in his final interview suggest an answer to the last question, at least. It is often assumed that Foucault’s rapprochement with philosophy derived from his studies of the ancient Greek and Roman ‘art of life’ – specifically, the idea of philosophy as an askēsis, a transformative test and exercise of oneself in the activity of thought. While this is correct, we should note that, in his final interview, Foucault presents a different point of view on the matter. 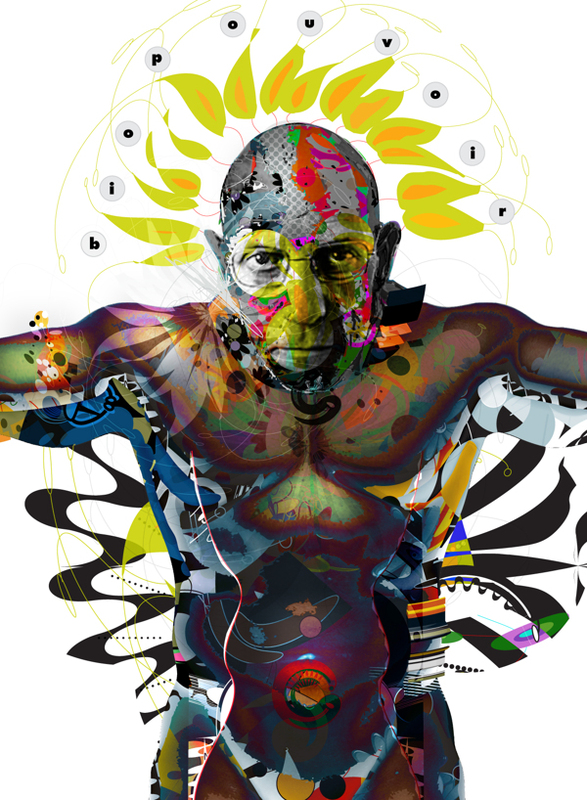 Rather than claiming to have discovered the philosophical traits of his work through research on the art of life, Foucault claims that he had practiced a radical form of philosophy from the time of his earliest publications. The History of Madness, The Order of Things and Discipline and Punish, Foucault claims, were ‘essentially based on a certain use of a philosophical vocabulary, game, and experience, to which I was, moreover, completely devoted’. Recently, Foucault explains, he has sought to detach himself from this style of philosophy. The objective, however, was never to abandon the practice but, on the contrary, to determine it more clearly as a philosophical practice. The ultimate goal, Foucault claims, has been to present this period of his life and work in terms of a general ‘field of experience to be studied, mapped out, and organized’, so that this work, which some might consider ‘a radical non-philosophy’, is at the same time seen to present ‘a more radical way of thinking the philosophical experience’. It is an open question why Foucault remained silent about his debt to Heidegger for so many years. Perhaps the only answer is that provided in his final interview: Heidegger functioned as an ‘instrument of thought’ that he simply chose not to discuss. Yet, on the basis of Foucault’s remarks on philosophy in his final interview, we can venture a hypothesis as to why it was only at the end of his life that Foucault felt able to associate himself with Heidegger in a philosophical light. Foucault’s reticence and final disclosure regarding Heidegger makes perfect sense if we assume that Foucault’s comments on Heidegger and his comments on his use of a philosophical vocabulary, game and experience are of a piece. If we assume that the vocabulary, game and experience that Foucault mentions in his final interview is a Heideggerian vocabulary, game and experience, it is no surprise that Foucault achieved a better understanding of his philosophical debt to Heidegger in his final years. It stands to reason that Foucault would affirm the debt to Heidegger as a philosopher at precisely the same time as he came to understand philosophy as a self-transformative activity of thought. This is the introduction to Foucault’s Heidegger: Philosophy and Transformative Experience (Continuum, 2007). See Academia.edu for a PDF of the book and other writings. A trinity of my formatives.